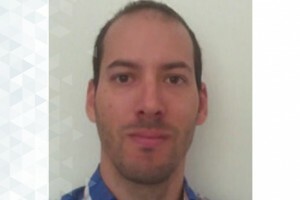 Dionisio Andujar is “Ramon y Cajal” posdoctoral researcher on Precision Agriculture. He is exploiting the advantages of depth cameras, new on-ground sensors and innovative processing image analysis methods for precision agriculture purposes, with the main objective to develop new application systems that optimize the agricultural application of inputs and autonomous guidance of agricultural vehicles. He has been leading several project as Principal Investigator. He has done international stays as postdoctoral researcher at the University of Hohenheim, Stuttgart, University of California NIBIO. He has published more than forty international scientific publications and five patent. He has been awarded with several prices. Manejo localizado de malas hierbas en cultivo de maíz. Spatial and temporal aspects of weed community in irrigated summer crops in central Spain.